What is your favorite quality about yourself? My intellect, because it allows me to analyze and understand the world around me in a way that fascinates me, and keeps me entertained. I hate being bored and seldom am. What is your least favorite quality about yourself? I hate housework. I wish I didn’t, then I’d do more of it and have one of those houses that looks like a maid was there every day. I value few things more than education (self education is fine, I’m not stuck on education having to be formal) combined with reasoning, all served up with an open mind. Our house is a gathering place for many types of people and they all come with strong opinions. Many hours have been spent on my deck or around my table discussing everything from politics to the best way to prune trees. Any belief or argument is welcome, as long it is informed. What are you most proud of accomplishing so far in your life? That I wrote, finished, and published Deadly Memories. A lot of people dream of writing a novel someday but someday never comes. Writing that book was a great deal of hard work and I admit there were times I wanted to toss it all into the trash and quit. But I kept at it and now I have a product that I’m both proud and excited to offer readers who like mystery/thrillers. What is your favorite color? Red. Or maybe blue. Or green? How about a rainbow? I love color of any sort. What is your favorite food? I like spicy foods of all ethnicities. My father was Cajun, so I especially like gumbo and jambalaya. People kept asking me for my recipe for those dishes, so I finally wrote them down. My son thinks I should post those recipes on my blog and I’m thinking I might just do it. A mountain meadow that you have to hike awhile to get to and nobody else knows about. Those are harder to find these days, so I’ll settle for any mountain setting, if I must. What I like is the combination of spectacular beauty accompanied by wild fauna and flora, and best of all: silence except for the background of natural sounds. How has your upbringing influenced your writing? What comes to mind with this question is probably not what you intended. 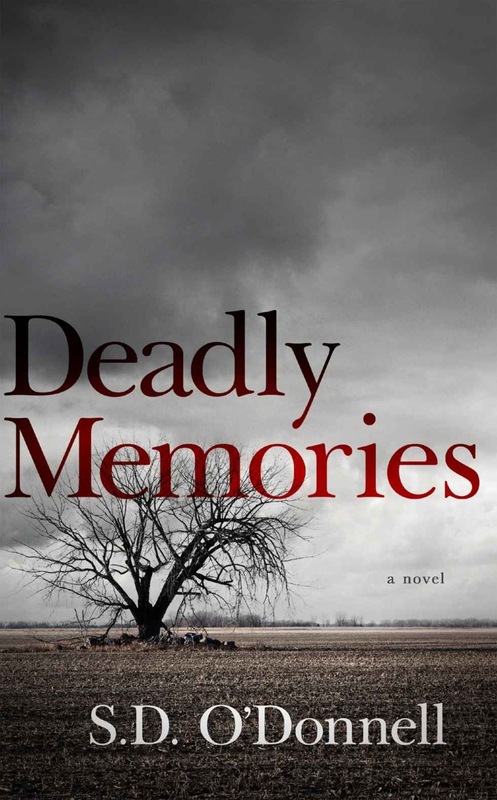 My chiropractor read Deadly Memories and was amazed that she couldn’t hear my voice (as in me, the person she knows) in the story, only that of the characters. I took that as a great compliment and an indication that I was able to overcome my personal upbringing and present only that of my characters’.